As a distributor for Europtronic, NAC offers their metallized polypropolene and metallized polyester film capacitors. Europtronic has grown to become one of the leading film capacitor manufacturers in the power electronic markets, with products used in renewable energy, automotive, industrial electronic and telecommunication industries. 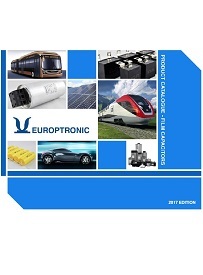 Europtronic offers a wide range of products, such as AC filter, DC link, snubber, high frequency, energy storage, EMI and general purpose capacitors for industrial and consumer applications. We take pride in our R&D capabilities and vision to be the “World’s 1st Choice Film Capacitor Brand and Manufacturer”. As of July 2016, Europtronic is wholly owned by Nantong Jianghai Power Electronic Co. LTD.